Home Android Cherry Mobile MediaTek News Nougat Quad-Core Smartphones Cherry Mobile Launches Omega HD 4 at PHP3,499! Cherry Mobile Launches Omega HD 4 at PHP3,499! 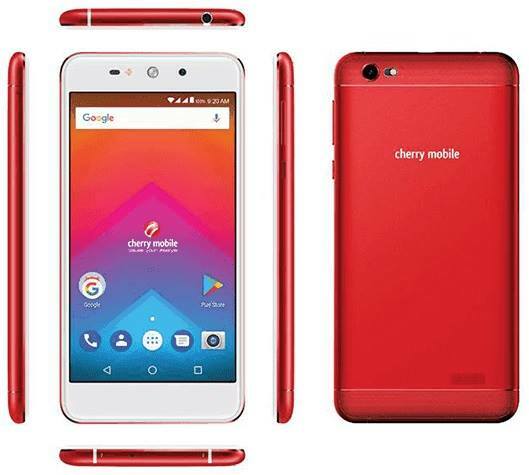 Cherry Mobile recently launched the 4th iteration of the Omega HD, which as you may have guessed, is simply called Cherry Mobile Omega HD 4. Let's check out this entry level phone. The Cherry Mobile Omega HD 4.0 has a 5.5-inch IPS display with 2.5D curved glass and an HD resolution that translates to 267 pixel density. It is housing a 1.3GHz MT6580 quad-core processor with Mali-400 graphics, which is pretty common for a budget smartphone. There is also a 1GB RAM and an 8GB expandable storage. The battery will hold 2,650mAh of power. Also Read: Cherry Mobile Flare S6 Premium Review; Great Things Are Rare! This phone will be having a respectable 8MP rear camera with AF and LED flash. The selfie camera has a 5MP sensor with LED flash too. In addition to that, it will be running Android 7.0 Nougat out of the box. You can get the Cherry Mobile Omega HD 4 at Cherry Mobile Stores nationwide for PHP3,499.